The 20 Best Hotels in Venice. Selected by Escapio. A gondola ride on the Grand Canal or a view of the water from the Rialto Bridge: Venice is classic, romantic and a must-see, not just for couples. The labyrinthine alleyways are lined with antique shops and galleries. Venetian masks and filigree glass art are displayed in the shop windows. Cultural highlights include the Byzantine St. Mark’s Basilica and the Gothic Doge’s Palace, as well as the numerous hotels and cafes, accompanied by classical music from La Traviata. With its busy waterways, labyrinth-like, barely shoulder-wide alleyways, and countless bridges, Venice, the city of lagoons, bursts with vitality and life. In a morbid contrast to this, the house fronts are often in decline – a contrast that attracts millions of tourists to Venice year after year. Away from the great tourist trails, you will discover ancient squares, small museums, craft shops and romantic cafes. The center of Venice and the heart of political life. With the Doge Palace and St. Mark’s Basilica, two of the main tourist attractions of the city are located in the San Marco district, bordered by the Canale Grande. In addition to a variety of restaurants and boutiques, the famous Felice Theater is also located here. Historical sightseeing: For more than 800 years during the 13th century, Venetian artisans worked on San Marco until the completion of the basilica. This produced a wild mixture of styles in the interior of St. Mark’s Basilica, from strict geometry, to sweeping opulence, from Egyptian to Greek to Roman influences. This is also the final resting place of the evangelist Markus. The Gothic Palazzo Ducale, with its famous Porta della Carta by Bartolomeo and Giovanni Bon, is located in the immediate vicinity. Gallery hopping: In the alleys behind Santa Maria di Giglio, the heart of Venice’s art scene beats. Galleries such as Caterina Tognon Arte Contemporanea (Campo San Maurizio 2671) and the Galleria Traghetto (Campo Santa Maria del Giglio 2543) have made a name for themselves, with a mixture of exhibitions by both international stars of the art business and up-and-coming Italian artists. Historic Opera House: Verdi’s Rigoletto and La Traviata premiered here; Stravinsky and Britten composed especially for the house and Richard Wagner, Rossini and Bellini delivered performances that were famous far beyond Italy. Venice’s legendary opera house, La Fenice is the talk of the town. The building burned down to the ground twice and had to be rebuilt twice. Venice without an opera house is difficult to imagine and so the performances during the opera season still sell out almost immediately. Traditional Northern Italian cuisine: The search for a restaurant in San Marco soon begs the question "view or good food?" The solution is as follows: first have a coffee or aperitif in one of the cafes around the Piazza San Marco overlooking the square to enjoy the atmosphere, then try one of the many small pubs in one of the side streets. The cuisine here is typically Venetian: fresh fish, mussels and crabs are served with pasta along with a glass of Northern Italian white wine. Craft Shopping: Murano glass vases and glassware by famous designers such as Carlo Moretti and Salviati L’Isola (Campo San Moisé 1468) and MA.RE (Via XXII Marzo 2088), handmade tassels of silk, damask and brocade (Bevilacqua (Fondamente Canonica 337b), exquisite antiques such as silver coffee services, diadems (Antiquus, Calle Crosera 3131) with rubies, or watercolors and color tubes in Titian red and the typical blue-green Tintorettos (Arcobaleno, Calle delle Botteghe): whoever is looking for a special souvenir or gift should visit one of the small boutiques and handicraft shops of the neighborhood away from the larger tourist traps. © PalazzinaGThe largest quarter, Castello: once a place where ship builders built huge fleets, now surrounded by grand hotels, and a meeting point for Venice’s chic and international jet set. Behind the promenade it is relatively quiet. Narrow streets and elegant palazzos characterize the streetscape. Museums and Churches: In the 14th century, the Dominicans built Zanipolo to compete with the Franciscan church "Frari". A difficult task, since the Frari boasts a splendid altar by the great painter Titian. But the Dominicans were ambitious, and today visitors can marvel at not only 25 charming Doge graves, but also sculptures by Pisano and Lombardo, an impressive Murano glass window by Vivarini and Mocetto and a fresco by Saint Vincenzo of Bellini. Additionally, the surrounding Chiesa di San Zaccaria and the Palazzo Grimani showcase paintings by Italian old masters such as Tintoretto, Tizian and Francesco Salviati. Chic bar-hopping: When the sun begins to set, the promenade of the neighborhood becomes the meeting place for Venice’s artistic scene and the international chic that strolls along the bars. The roof terraces and balconies of the design hotels (for example, the Bar Terazza Danieli, Riva degli Schiavoni 4196) along the shore, with views of the islands in the lagoon and the surrounding marble Palladios that sparkle in the evening sun, is a wonderful place to enjoy an aperitif. Costume Shopping: The non-profit boutique, Banco 10 (Salizada Saint’Antonin 3478a) is part of a training and rehabilitation program of the women’s prison in Giaducca and thanks to it being an insiders tip, is so popular among Venetians that the opera stars of La Fenice can be found here dressing up in elaborate costumes made of silk, brocade, chiffon and velvet, all designed by prison women. Custom made shoes: Giovanna Zanella makes women’s hearts beat faster. For the past ten years, the 40-year old has transformed her customers’ every wish and desire into a reality. Now you can also be so indulgent. In her studio (Calle Carminati 5641), Emma Thompson and Donna Leon have already had their measurements taken, and Zanelli’s shoes regularly traverse the red carpets of Venice’s art and film biennale. Zanella’s boutique is a fixed feature in Venice’s fashion world. Masken-Shopping: Venice’s world-famous carnival can’t be celebrated fancier incognito: each unusual mask designed by the family business Schegge (Calle Lunga Santa Maria Formosa 6185) is a small work of art and often the motives are homages to the beauty of Venice – like the numerous gothic churches or frescoes, which you can rediscover on the masks. The southernmost quarter, framed by Canale Grande, the Canale della Giudecca and the lagoon, Dorsoduro is one of the oldest sestiere in Venice. The Galleri Dell’Accademia, moved here by Napoleon, owns one of the largest art collections in the city. Thanks to the Accademia, the eastern part is a well-kept and quiet district. In contrast, there are bars and squares full of Venetians and students in the western part. Museum Tour: What the Louvre is to Paris and the MoMA to New York, the gallery Dell’Accademia is to Venice. The three buildings of the former Santa Maria della Caritá monastery are home to probably the largest collection of Venetian paintings in the world. From Bellini and Carpaccio to Titian and Tintoretto, everything that had rank and name in Venice’s art world in the 14th and 18th century is showcased here. A must-see for art lovers. The nearby Peggy Guggenheim Collection shows Italian artistic modernity in its entirety: expressionism, surrealism and futurism are the order of the day here. Gondola handcraft: To ensure that the gondoliers are not out of balance while rowing, and that the paddles are in perfect balance, the paddles are placed in the so-called Forcola position. The Signore Saverio Pastor rudder supports (Fondamenta Soranzo detta Fornace 341), carved from a quarter of a tree trunk, also make great sculptures for the living room, not only for Mick Jagger, who has been a good customer here for years, but perhaps for you, too. Antiques markets: On sunny weekends, Venice’s antique markets not only attract a mix of antique lovers looking for a special Murano glassware, an antique chandelier or other Venetian treasures, but also bargain hunters, tourists and locals who saunter past the stalls and share news about the district. The markets at Campo Santa Margherita have become a real institution in recent years. Sweet Slow food: A lemon sorbet with limes from the Amalfi Coast, Zabaione made from eggs obtained from organic, free-range chickens and hazelnut ice cream with nuts from Piedmont: At Grom (Campo San Barnaba 2761), ice cream and fruity specialties are characterized by fair trade and slow food, which gives them a special quality. Waiting in the queues is worth it. Also, at the Pisticceria Tonolo (Calle S. Pantalon, 3764), only local organic products are used for their delicious tarts, which has given the confectioner the reputation of being, amongst other things, one of the best in Venice. Nightlife: Whoever wants to party the night away in Venice, will run into problems. Many establishments close shortly after midnight. Subsequently, many night owls go out into the open under the stars. Campo Santa Margharita in the district is one of the most popular places in Venice, where a young and trendy crowd meet up until the early hours of the morning enjoying an atmosphere somewhere between a picnic and an open-air party. © Hotel Palazzo SternThe hustle and bustle of city life pulsates in the narrow streets and alleyways of San Polo. When, in the 11th century, markets were introduced to Venice, the most famous of which still take place on the Rialto square today, the two ‘sestiere’ became small business centers. This is still notable today. Rialto Bridge: Built by Antonio da Ponte in 1592, the Rialto Bridge is one of Venice’s landmarks. For decades, it was the only connection over the Canale Grande. Even though it attracts so many tourists today that there are often pedestrian traffic jams on the bridge, it is an impressive must-see for every visitor to Venice. Renaissance buildings: Santa Maria Gloriosa dei Frari is one of the largest churches in Venice. It boasts a whole series of world-famous works of art, the most famous of which is Titian’s altarpiece panel painting of the Assumption of the Virgin Mary. Tintoretto made 50 paintings with Old Testament scenes for the ceilings of the nearby Scuola Grande Di San Rocco, which, thanks to their magnificence, is the reason why visitors leave with sore, stiff necks. Local Seafood: Today, Venice’s former red light district lures with a variety of restaurants offering local slow food specialties at moderate prices. The selection ranges from a modern interpretation of Venetian cuisine (Vecio Fritolin, Calle della Regina 2262) to classic seafood (Trattoria Alla Madonna, Calle della Madonna 594). Shopping & Strolling: Europe’s first eyeglasses were made in the 14th century in Venice and there are still a lot of small manufacturers specializing in unusual frames (for example Ottica Vascellari, Ruga Rialto 1030). In the small alleyways of the neighbourhood, there are many fashion boutiques, craftwork studios and shops, where the atmosphere is relaxed allowing you to dawdle at leisure. Local nightlife: Happy Hour begins at around 8pm around the Rialto Bridge. In addition to the fishermen who have been working here since the early hours of the morning, the area also attracts artists and employees from the surrounding studios and offices, who enjoy the evening with an aperitif and views of the Grand Canal (eg Ancorá, Fabbriche Vecchie) in a casual and informal atmosphere. Away from the wide Strada Nuova, which connects the station to Piazza di Rialto, a variety of small, quiet and charming alleys trail off from the tourist areas. In the bars and cafes along the banks of the canal, you can catch a glimpse of the life of the ancient Venetians. The former Jewish Ghetto is also located in Cannaregio. Jewish History: The center of the former Jewish ghetto of Venice is located at Campo di Ghetto Nuevo. The Jewish synagogues in the square can be made out by their only slightly elevated roofs, since it was forbidden for them to build conspicuous buildings. You can learn more about the once lively Jewish life of the city at the Museo Ebraico on the square, where Jewish shops and kosher restaurants still do business today. Traditional printers: Paolo Olbi’s shop is a real hidden gem. From the outside his "Galleria" (Calle Varisco 5421a) is hardly recognizable as a shop; inside you are taken back in time to a world of old machines and printing presses. Olbi prints and binds incredibly beautiful books, calendars and folders made from handmade paper, and engraves onto the finest leather to make small editions or articles that are one of a kind. In Calle del Fumo 5306, Gianni Basso prints business cards using old technology. If you are a customer here, like actor Hugh Grant, you can choose from a wealth of font types one, which Basso then artistically prints with a selected motif onto the cards. Bar-hopping: While Venetian wine is hugely popular in the bars of other districts of Venice, Cannaregio is all about beer. Whether imported or local brewed, pils or ale, bars like the Osteria Agli Ormesini (Fondamenta degli Ormesini 2710) or Paradiso Perduto (Fondamenta della Misericordia 2540) have up to 120 different beers on offer. The only question is whether to go to a sports bar, a student bar or something more sophisticated with appetizers and views of the canal. Modern Venetian cuisine: If you are looking for a small, romantic restaurant with modern Venetian cuisine, you will find it in Cannaregio. In restaurants such as Anice Stellato (Fondamenta della Sensa 3272), Bea Vita (Fondamente delle Cappucine 3082) or L’Orto the Mori (Campo dei Mori 3386), you can have a relatively cheap meals with the locals. Glamorous Casino: Every evening since the 17th century, the Casino di Venezia (Campiello Vendramin 2040) has been about luck and money. If you also want to try your luck here, you need to have strong nerves, money, as well be dressed in the appropriate evening attire. A museum devoted to the composer Richard Wagner, who died here at casino in 1883, boasts the largest collection of Wagnerian devotional objects outside Bayreuth. © UNA Hotel VeneziaOnce, fishermen and hunters lived on the islands in the lagoon before they were driven to the mainland by pirates and looters. 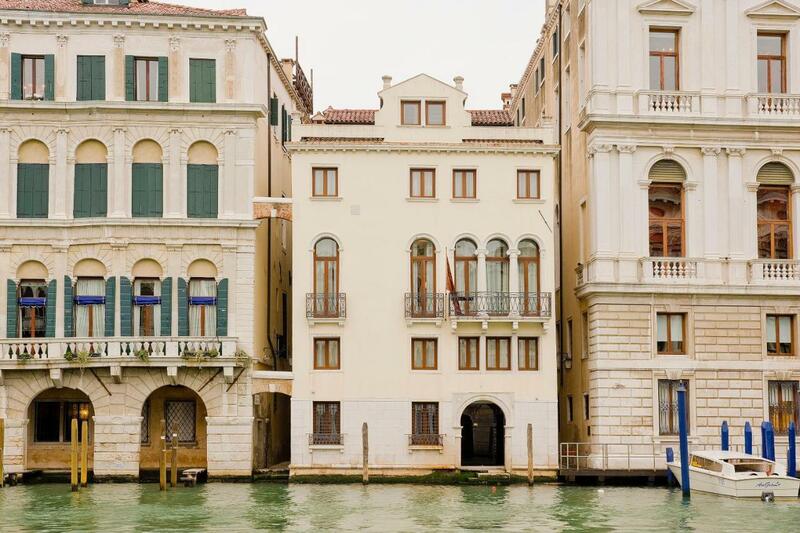 Today, the islands are Venice’s suburbs and home to artisans, workshops and theatres. There are also hiking trails and of course Lido, Venice’s beach. Lively beach life: Lido beach is just 15 minutes by ferry from the center of Venice. This is a journey that many Venetians and tourists like to undertake on weekends. Those who prefer peace and quiet, should rent a bike and cycle a little further south, where the beaches are quieter and more secluded. Church visit to San Giorgio Maggiore: The façade of the church of San Giorgio Maggiore made of Istrian stone is worth a trip to the small homonymous island. The altarpieces in the interior were painted by Tintoretto, but more well-known is Sebastiano Ricci’s painting, "Madonna enthroned with Saints, " which casts a spell over the huge crowds it draws. Glasshopping on Murano: Knowledge about the art of glass blowing was so secret that as recently as 150 years ago, glassblowers who wanted to leave Murano Island with their knowledge and were caught, were put to death. Nowadays, anyone who wants to take a look over the shoulder of a glass blower is very welcome on Murano. There are rows of workshop after workshop and showroom after showroom and the prices of the filigree glass objects are often much lower than in Venice itself. The island also houses a museum about the history of Murano glass. Sightseeing on Torcello: Torcello is a small, charming island whose tourist highlight is its beautiful cathedral dating back to the Middle Ages. The bell tower of the cathedral is easy to climb and from the top, you have a wonderful view over the lagoon and the island, which can then be explored on a quiet walk away from the hordes of tourists. Theater on Giaducca: The Teatro Junghans is a permanent institution in Venice’s theatre scene. Housed in a building reminiscent of a piece of Swiss cheese, an avant-garde program runs during the winter months, which is highly popular with local theatre lovers. During the summer, there are workshops on mask making or acting, which are popular with both Venetians and tourists alike. © Bloom Settimo CieloBest time to go: During spring and in the fall, Venice is at its most beautiful. Not only is the weather the most pleasant of the two seasons of the year at this time, but there are also fewer tourists in the city and so the tourist attractions are the least crowded during this time. In addition, during the hot summer months the channel begins to smell, while flooding occurs in the colder months. And, of course, during carnival season in early February, the whole city turns into a mad rush and feast of masks, clothes and music. Morbid charm: The countless waterways and canals are one of the landmarks of Venice. However, moisture from the abundance of water also causes the plaster to peel off of the houses. In spite of its splendor, Venice has a unique morbid charm: the slowly increasing decay seems to indicate that the city, like everything else, is impermanent. Pigeons: Throughout the year, hundreds of pigeons populate Venice’s Piazza San Marco. The birds have a special status in the city and are almost venerated by the locals. The reason for this is historic – in the 13th century, the Doge Dandalo communicated the victory over Constantinople by means of a homing pigeon. The bird flew more than 1,300 kilometers. Since then, processions have taken place every year, during which the city’s doges set flocks of pigeons free. However, to prevent the huge and steadily growing pigeon population from getting out of control, there has been a ban on feeding pigeons since 2008. Transport: Due to its unique traffic structure, you must either walk or travel by boat in Venice. In order to transport goods or loads, the Venetians use a special handcart, built in such a way that the many steps and stairways of the city are no problem at all. The famous gondolas are used almost entirely by tourists nowadays, while locals prefer sailing with boats of all kinds. Romantically en route: Of course there’s nothing like a gondola ride along the Canale Grande, especially at night, when the moorings and palazzos are lit up on the shore and the canal shines in all its splendor. During the day, there is a lot of traffic and motorboats especially ensure that you can have quite a rough ride on a gondola. The importance of art: Just the sheer amount of masterpieces in museums and churches makes it clear that art is very important in Venice. Not only is Venice one of the most important venues for art biennials, but the love of art goes back far in Venetian history. In the middle of the fifteenth century, the doge of the town began to promote artists. Painters such as Giovanni Bellini and his pupil Titian helped Venice to become the most important city of the Italian Renaissance. The Biennials: Venice is home to three world-famous biennials. Lesser known are the Architecture Biennale and the Biennale di Venezia, where every two years the crème de la crème of the art world meets. Both events take place across the city. Venice’s film festival is more famous, where international film stars and starlets traverse the red carpet and make Venice the center of the film world for two weeks.